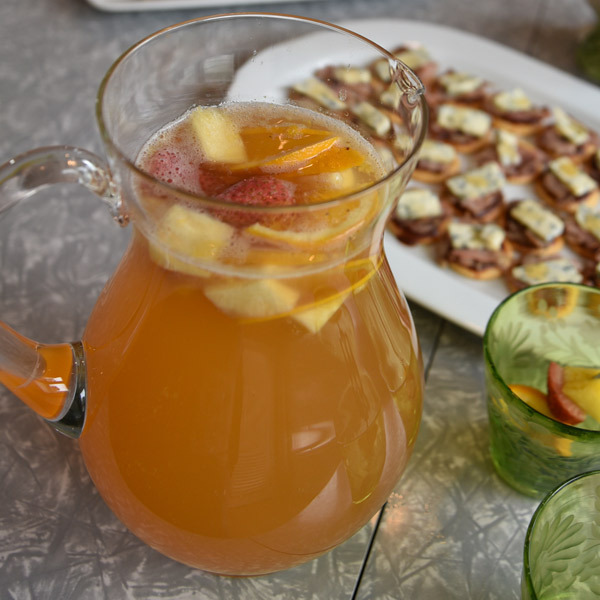 Mix up a sweet, boozy pitcher full of summer with this White Sangria recipe. In this tropical twist on traditional Sangria, we poured white wine, orange juice, pineapple juice and rum over fresh strawberries, pineapple chunks and orange slices. Serve chilled and with bites of the sangria-soaked fruit—don't let that goodness just sit in the glass. Slice all of your fruit and place in a large pitcher. Add orange juice, rum, pineapple juice and bottle of white wine. Mix well. Chill in the refrigerator for 2 to 4 hours to allow the fruit to soak up liquid. Fill glasses with ice and serve chilled.